Yorkshire Entomolography – Page 537 – Life is a series of tiny little miracles, notice them. Entomological recordings by Paul Ashton. Sunday morning started of fairly bright, though rapidly clouded over. Despite this I decided to head for my “local”, North Cliffe Wood, to see what was on offer. 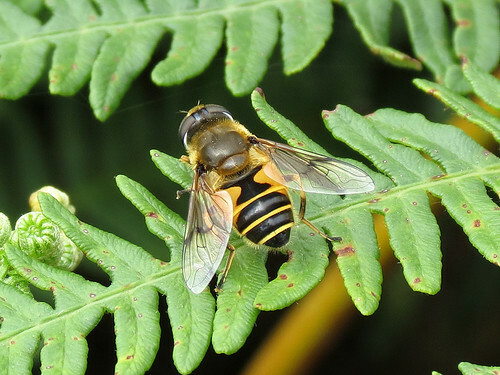 Walking down the western path to the heathland, it became fairly obvious that insect activity was going to be low with very little encountered. As I reached the Oak tree before the wooden bridge a Migrant Hawker Aeshna mixta was foraging in the open glade, a surprising sight considering the conditions. Out on the heath a couple more Migrant Hawkers A. mixta were also observed hawking along the woodland edge. 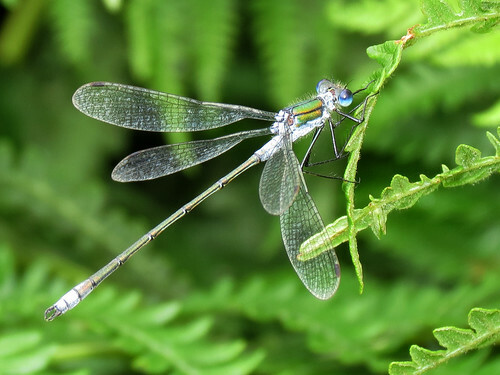 Numbers of other species were low, though Emerald Damselflies Lestes sponsa were still the most abundant species present. 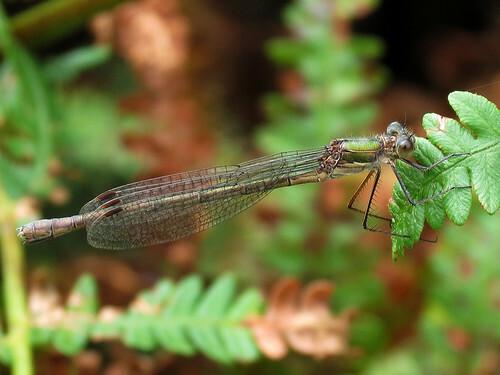 The only other damselfly seen was Blue-tailed Damselfly Ischnura elegans, two seen resting in the Juncus around the heathland pond. 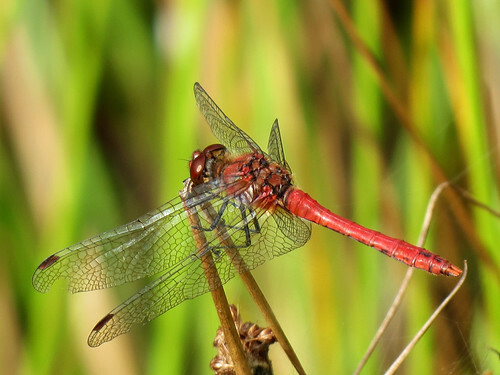 There was very little activity around the pond, with only a single Ruddy Darter Sympetrum sanguineum holding territory. 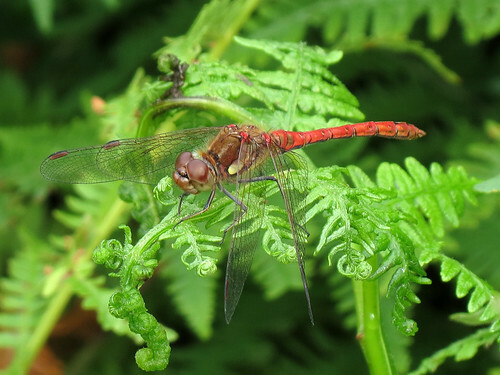 All other activity was away from the pond with several Common Darters Sympetrum striolatum settling on the surrounding Braken. A single male Black Darter Sympetrum danae put in an appearance, alighting in front of me, though quickly disappeared as I raised my camera to try to get a shot. Finally whilst leaving the site I came across a female Southern Hawker Aeshna cyanea, constantly patrolling a ten metre stretch of the western path, despite waiting for ten minutes or more, she never settled for a photo opportunity. Butterfly numbers were very low with only four species observed. 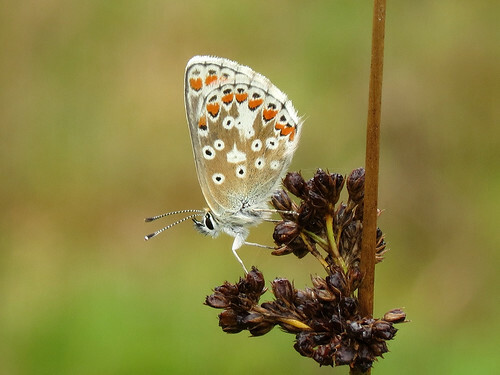 The best was Brown Argus Aricia agestis, one of our smallest butterflies, though the conditions meant it was keeping its wings tightly shut. 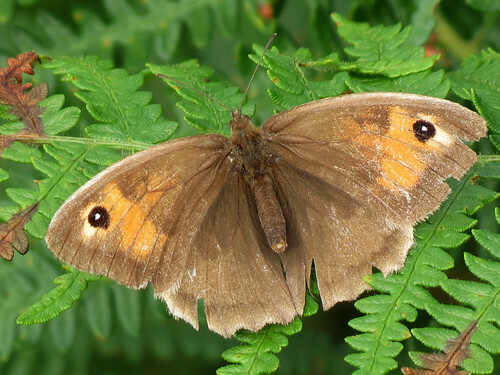 A single Meadow Brown Maniola jurtina was settling with its wings open, trying to absorb what little sun was getting through the cloud. This specimen now showing signs that their season end is rapidly approaching. 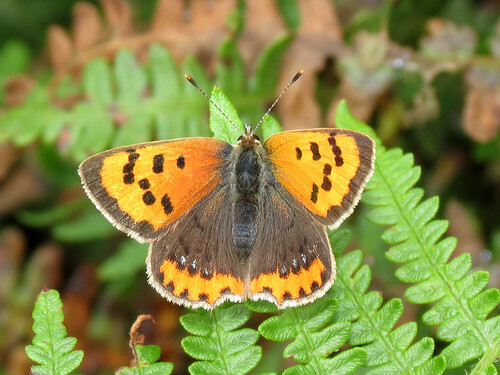 A couple of Gatekeepers Pyronia tithonus were out on the Heather nectering, but by far the most abundant species was Small Copper Lycaena phlaeas, with 30+ observed. 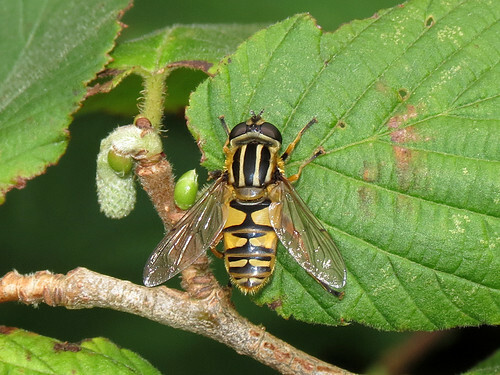 A few hoverflies were active, Helophilus pendulus now quite numerous and showing a wide range of size differences. 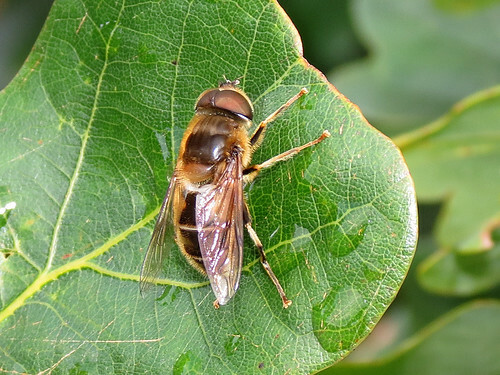 Eristalis horticola posed well for the camera with a pleasing shot, along with Eristalis pertinax. 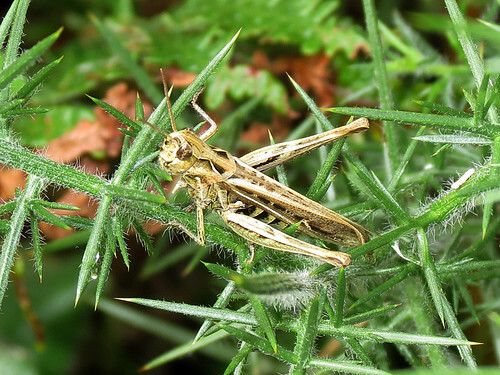 There was little grasshopper activity, the best being Field Grasshopper Chorthippus brunneus.